Before entering seminary, Paula Engelhorn had a career as an art teacher and art therapy teacher/presenter. After retiring, she entered the Seminary of the Southwest in Austin, Texas, graduating in May of 2011. 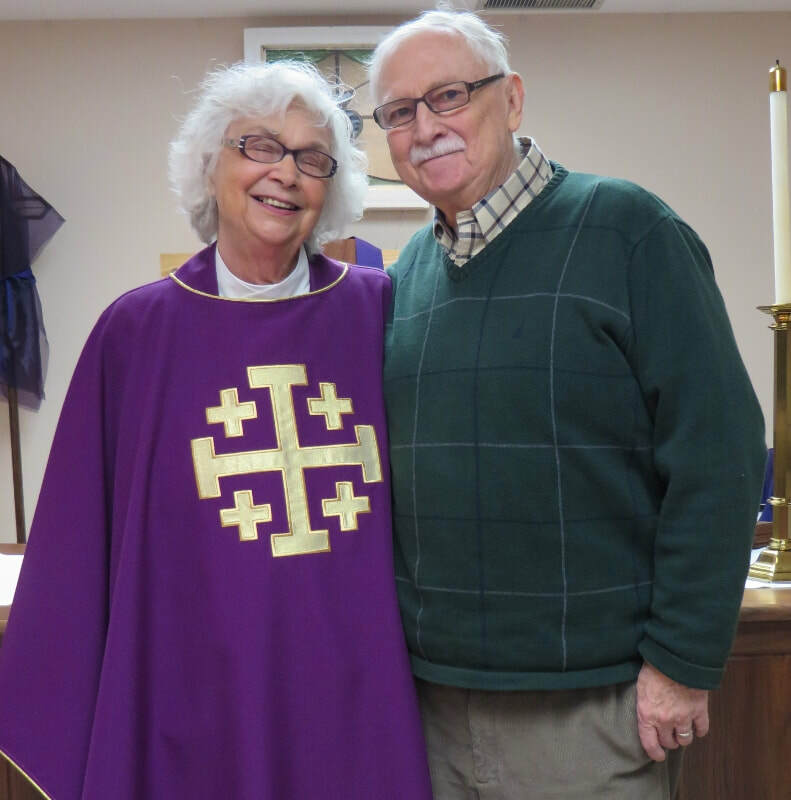 Paula and John moved to Macomb, where she served as our deacon for six months before being ordained at St. Paul's Episcopal Church (formerly our cathedral) in December of 2011. The Engelhorns have two sons and four grandchildren, plus their dog Joon. The Rev. Engelhorn is known for her thoughtful and provocative sermons. Here are recent ones to read or re-experience. On August 19th, Rev. Paula presented this sermon on The Bread of Life. On October 14th, Rev. Paula explained Jesus' conversation with the rich man who asked what he needed to do to gain eternal life: All Things are Possible.